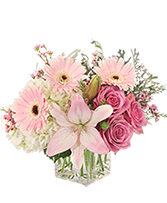 Welcome an addition to the family with a beautiful floral arrangement. 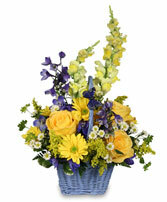 When you want a quick delivery to the Abbotsford Regional Hospital call Buckets Flowers. 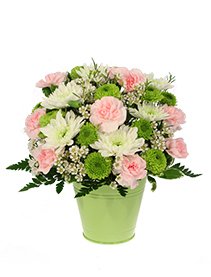 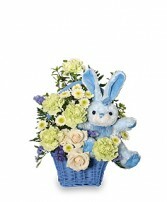 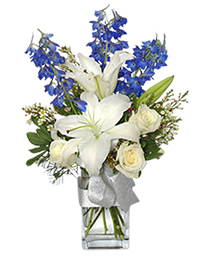 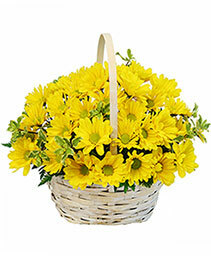 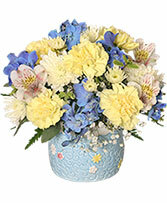 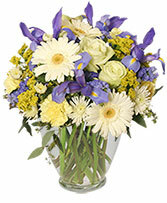 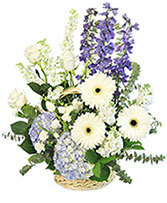 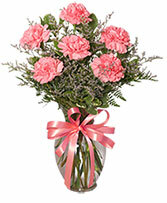 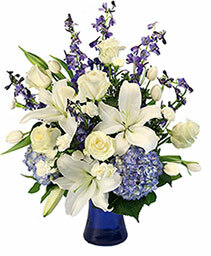 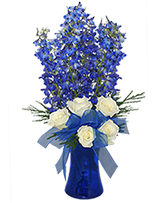 We have a large selection of the perfect arrangements for the hospital. 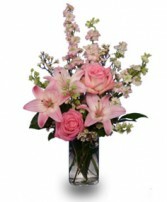 The hospital is 2 minutes from the store so prompt delivery is always available. 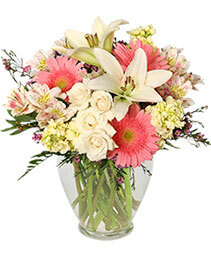 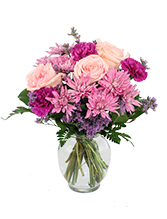 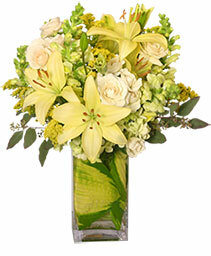 Our delivery drivers are very professional in delivering our flowers to that special person. 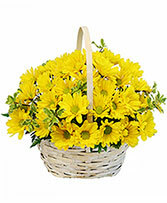 Brighten up someones day in the hospital. 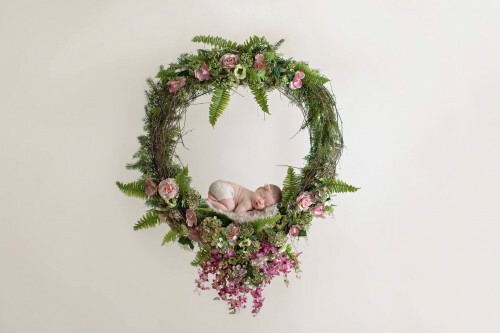 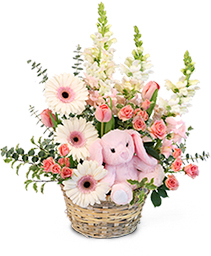 A little special flower arrangement, for that special little baby. 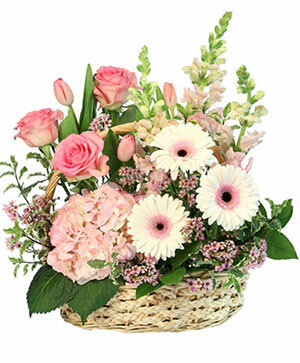 Delight someone with this sentimental and sweet Vintage Lovliness bouquet from BUCKETS FRESH FLOWER MARKET. 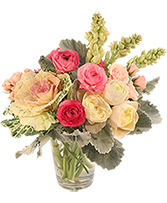 Sumptuous pink ranunculus, decadent garden roses, mini spray roses and tuberoses arranged with velvety Dusty Miller and ornamental kale create a timeless, gardeny look reminiscent of days gone by. Share some flowers and share a smile! 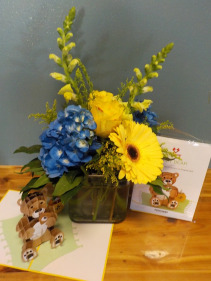 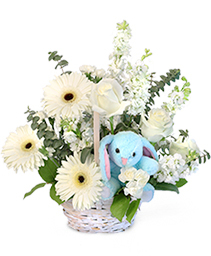 Call today or order Spring flowers online 24 hours a day.
. New Baby , Get Well, Cheer up, Thinking of you, Buckets has the best flowers for the hospital. 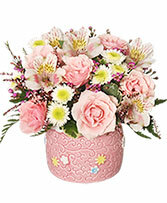 A sure Wow!! Bright and bold flowers perfect for any occasion. 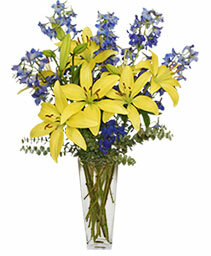 In the comment screen you may choose yellow or orange lilies.